To upgrade or not to upgrade, that is the question. Every fall, many iPhone users ask this question and wonder if it’s worth their time and money to upgrade to the latest iPhone. Hopefully we can shed some light on the subject and help you make a more informed decision. When considering price there are several things to think about. Cell plan, possibly a new case, new chargers/accessories, time spent at the store or even restoring your phone from a backup. 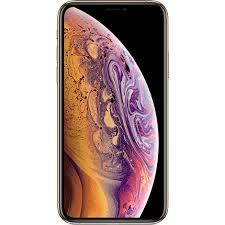 In this case, with the XS, when converting simply from the iPhone X, there is little change that will cost you, other than the price of the phone itself. The math gets interesting if you look at cell plans that “include the price of the phone”. I personally am not a fan of leasing or renting anything, so I was hesitant at first to move to one of these plans. However, when you look at the older model of “new every two” you would get a $200 credit toward the new phone every two years. The maximum savings in this scenario would be to purchase exactly at the 24-month date of renewal, otherwise you are looking at diminishing returns. With the Edge-plan from Verizon, AT&Ts Next plan, or other comparable options you will typically get a reduction on your cell plan by about $20/month. That’s $480 in the same time you would otherwise get the $200 credit. The other thing to consider is the iPhone aftermarket. The iPhone X is going currently on eBay for around $500-$700, give or take conditions. Trade ins are typically worth a bit less, because they will essentially do the reselling for you at a cost. So, all things considered, if you were to upgrade, you would be paying around $400 to get a phone with a slightly better processor. The catch 22 that you have to evaluate is the cost of the phone next year. In a year, the likelihood of the drop-in price is significant. The same iPhone X may only bring $150-$200, if it’s in great condition. Efficiency is the name of the game in today’s world. We rarely have time to wait for a text or email to send. We want instant access to our photos and app content. When an iPhone is more than 2 years old, it is common to see a degradation of processing and battery life. I found this out when I owned the iPhone 4 and waited three cycles for the iPhone 5s. Texting was delayed when typing, Siri was slow to respond if ever responding at all, and battery life led to me to constantly looking for a charger. When I upgraded, I could feel the power of the new phone and decided I would never wait that long to upgrade again. Hopefully this gave you some insight into what is important to you as the consumer and will help you weigh the options before buying.